Tomato time-lets get canning! Salsa! 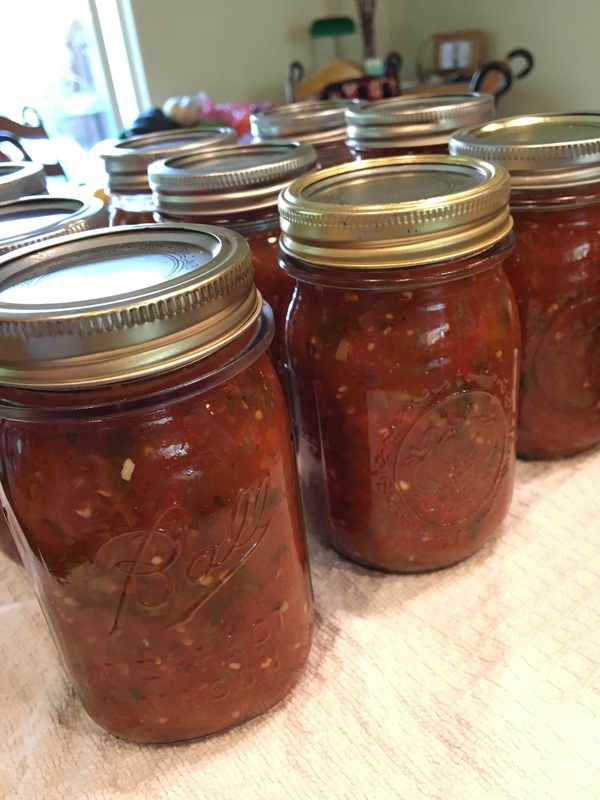 Ive recently descoved the love of canning my own salsa. 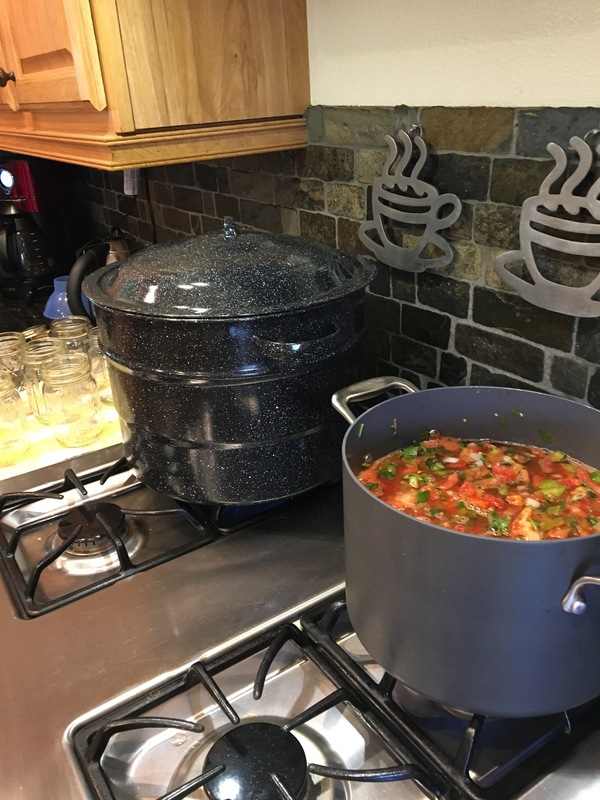 Every late summer Ill can my stewed italian tomatoes and tomato sauce- but salsa comes out so nice. I do not make it spicy hot. Heat can be added at serving time for me. Cook all ingrediants on high to a full boil- cook for 20 minutes. Taste to see if you want a bit of sugar or more salt to taste. Place in prepared jars for canning. This batch made 10- 16 oz jars. Next postSteamed Artichoke with Garlic Aioli. Teen and Mom Approved.